This entry was posted in Uncategorized on November 8, 2013 by Nick Patterson. Directions to Prentis Hall can be seen at this link. 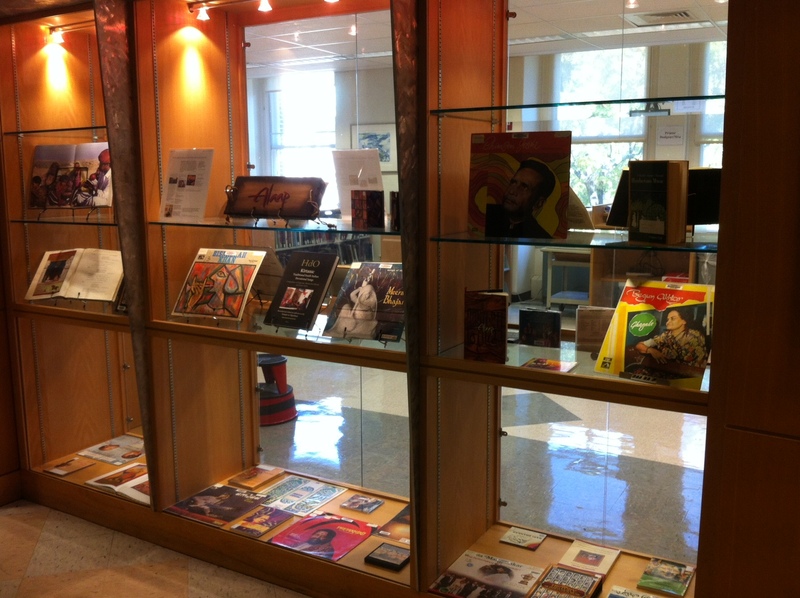 This entry was posted in CU Community Publications, Free, Jazz, Music & Film on November 8, 2013 by Nick Patterson. digitizing all paper (1.3 million pages) between 1943 and 1970 making it freely available on the internet. became the focus for a new study on New York elites. to study New York elites using the New York Philharmonic’s subscriber and concert hall seating records. This entry was posted in Announcements, Events on October 11, 2013 by Nick Patterson. 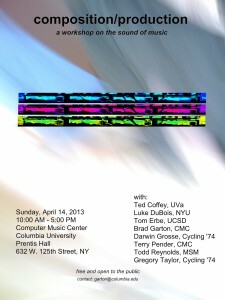 Columbia’s Computer Music Center presents a FREE all-day workshop on composition and production, on Sunday 4/14/13, 10am-5pm, at the Center, Prentis Hall, 3rd floor, 632 W. 125th St. 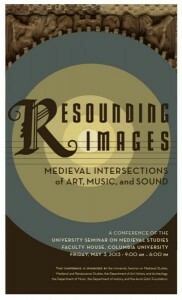 The event will feature several noted composers and music coders and technologists. 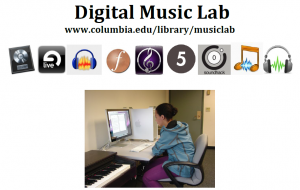 The Columbia University Computer Music Center is hosting a day-long workshop on issues arising from ‘production’: the impact of contemporary recording studio and digital-signal processing tools in crafting the sonic presentation of music. 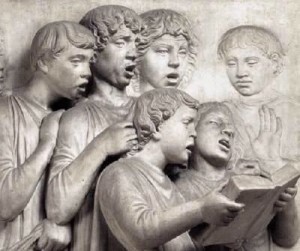 We will be especially focussing on the use of these tools, how they influence our musical creativity and the role recording technologies play in shaping the work we do. Towards that end, we have invited a group of musicians and researchers involved in music technology to help lead a community discussion of these issues. All are welcome to participate in this event. The event is free and open to the public. Full details are at this link. Come on down! This entry was posted in Announcements, Music Technology and tagged Announcements, Music Technology on April 9, 2013 by Nick Patterson.